Pound calls for knowledge of the human nature of man, since,"it is obvious that ethics are based on the nature of man, just as it is obvious that civics are based upon the nature of man when living together in groups". This necessary knowledge can only be supplied by the arts especially by poetry, which in consequence are given the status of an anthropology distinct from the other sciences. Pound's idea of the basic function of poetry, is that poetry provides an objective "study on man". Pound constantly preaches an "historical sense", the consciousness of the past as a part of the poet's necessary equipment, and a preliminary preoccupation with the literary landmarks. 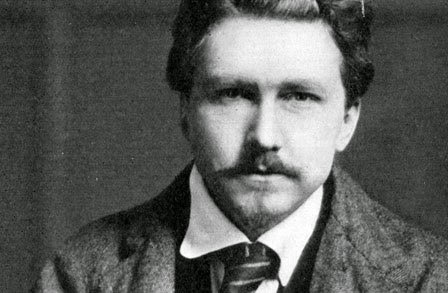 According to Ezra Pound, there exists absolute standards by which poetry can be evaluated and that basically the same kind of "good" and "bad" poetry can be encountered in all ages. For Pound too, good poetry is always the same, the changes are superficial. We have the real poem in nature. The real poem in nature. The real poet thinking the real poem absorbs the decor almost unconsciously. Poetry for Pound is sometimes looked upon as verbal expression composed according to certain pre established sets of rules and sometimes as verbal expressions shaped according to forces inherent in the material of poetry, and the two following quotations mark the two poles around which Pound's conception of poetry has crystallized. "Poetry is an art, an art with a technique with media" and "poetry is the statement of overwhelming emotional values; all the rest is an affair of cuisine, of art" "I think the artist should master all known forms and systems of metric." Pound is from the beginning conscious of the impact of this dualism, he says:"I think there is a "fluid" as well as a "solid" content, that some poems may form as a tree may has form, some as water poured into a vase. In Pound poetics there are two conceptions: The conception of the "normative" form; and that of the "organic" form these two forms, Pound claims coexist all along, and neither of them is given precedence. The conception of poetry as a vase can as such of course be affiliated to all the "normative" treasures of prescribing the composition of poetry in accordance with the preexisting rules. As to the "organic" form, it counts on the expressive force of emotions. Pound's "formulation of the basic principles of modern poetry" is postulated as "objectivity, and again objectivity", the poet's desirable readiness "to say what to say, and to shut up when he has said it." So Pound has formulated this principle as:"The artist seeks out the luminous detail and presents it. He doesn't comment." Here stands the principle of impassibilite (which is adopted from Flaubert), which necessitates a dualism between the poet as creator and the other activities of his personality, excluding emotions together with intellectual and moral reflections. The very first of the Imagist principles read:"Direct treatment of the 'thing' whether subjective or objective." More closely and more constantly than with anything else Pound coupled the formulation of his basic poetics with the literary principles and practice of Gustave Flaubert, the most devoted and persistent of craftsmen, "le Christ de la literature": Imagism "set out 'to bring poetry up to the level of prose' since Flaubert lifted prose to the rank of a 'finer art'." Ford Madox Hueffer had once announced:"I had to make for myself the discovery that the verse must be at least as well written as prose if it is to be poetry. Its sentences must be as well constructed; its thought as close; its language as nervous. Both Heuffer and Pound have adopted such an attitude. According to Pound, "An 'Image' is that which presents an intellectual and emotional complex in an instant of time". The image is distinct from the-often arbitrarily used-metaphoric expression, which is intended as either an ornament, or as an explanatory reinforcement of what has been said in a discursive manner. Pound is quite explicit:"The point of Imagism is that it does not use image as ornaments. The ornamental metaphor and simile belong to the same category as the 'superfluous' ornamental epithet and is condemned by Pound. Pound is sufficiently cautious to remark that it is "hard to draw an exact border line" between the image and the "explanatory metaphor", and one is not sure whether Pound has any consistent ideas in which cases the difference is qualitative or merely quantitative. The image cannot be dispensed with, not because it adds to the beauty, the meaning, the effectiveness of poetry, but because in an Imagist poem there is no communication at all without the image:"The image is itself the speech." "The image can be of two sorts (always according to Pound). It can arise within the mind. It is then subjective." External causes play upon the mind, perhaps; if so they are drawn into, fused, transmitted, and emerge in an Image unlike themselves. Secondly, the Image can be objective. Emotion seizing upon some external scene or action carries it intact to the mind; and that vortex purges it of all save the essential and dominant or dramatic qualities, and it emerges like the external original." The image is consistently presented by Pound as a direct emanation of the emotion or the "emotional force"- "the emotional force gives the image." The very considerable difference between Imagism and Symbolism lies in the manner and the proportion in which the various elements of poetry are used: the poetry of the great Symbolists was generally speaking, despite extensive use of visual symbols, above all concerned with the musical property of the words, Verlaine's "De la musique avant tout chose" has become commonplace. The Imagists concentrated their efforts on the visual: in terms of Pound's subsequently established categories, (the Symbolists were aiming at melopoeia, the Imagists at phanopoeia). On this issue, Pound says:"Unlike a man can put some thematic invention into verse libre, he would do well to stick to 'regular' meters which have certain chances of being musical from their form." As a conclusion Pound leaves the poet in a position to choose between the 'normative' and the 'organic', and this position is characteristic of Pound's poetic altogether:"I have never claimed that verse libre was the only path to salvation. I felt that it was right and that it had its place with the other models."